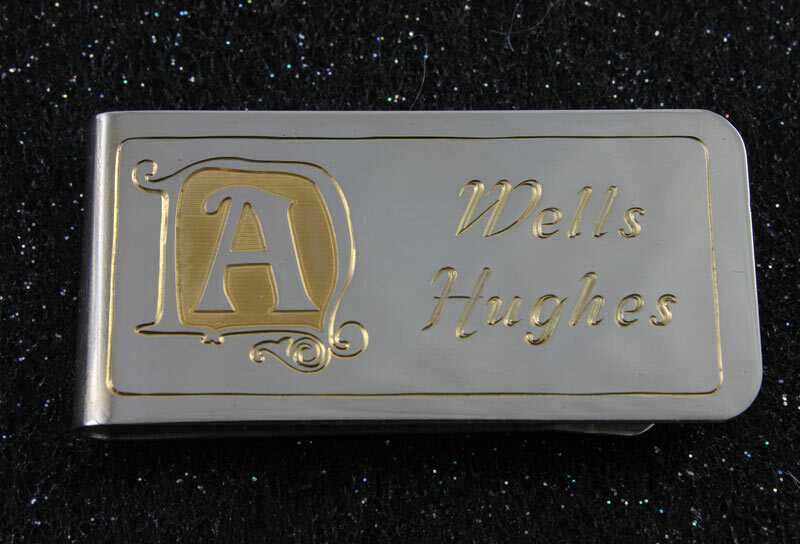 This Nickel/Silver money clip features a deep relief engraved business logo along with a hand engraved full name. The engraved areas are plated with 24K Gold. 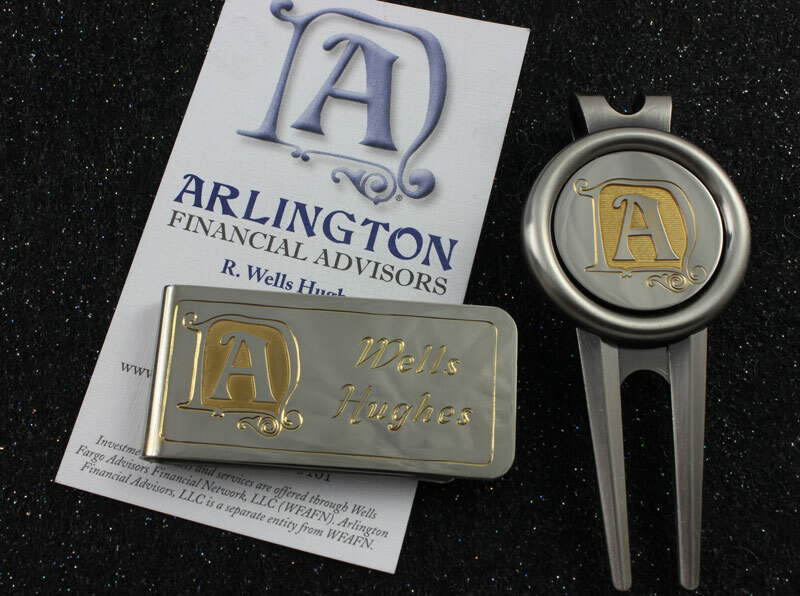 A matching golf ball marker adds a nice touch! Makes a nice gift for those special clients that will have them bringing your name up often!